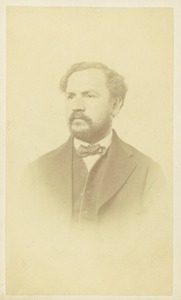 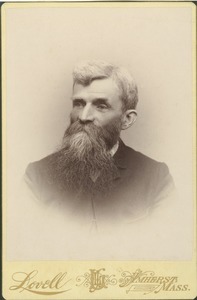 Formal portrait, sporting a beard and not smiling. 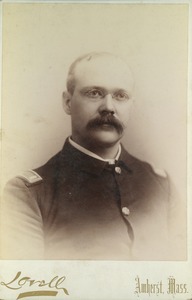 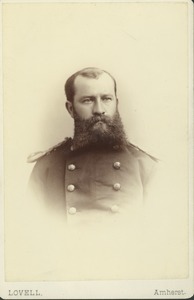 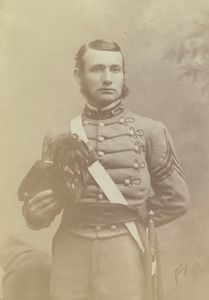 Formal military dress portrait of Joseph Bridgeo Lindsey (Class of 1883) on a cabinet card with "Lovell - Amherst, Mass." 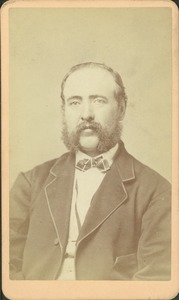 printed on front. 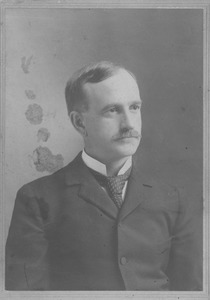 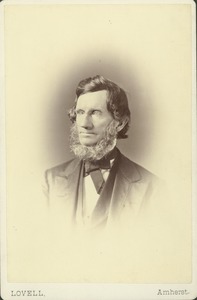 He went on to work at the Experimental Station for Massachusetts Agricultural College and eventually became head of the Chemistry Department. 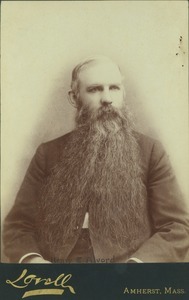 "J B Lindsey - Class of '83" written on back. 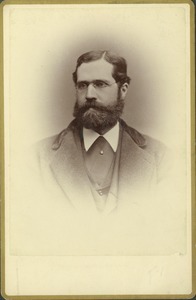 Cabinet card of Charles Parker Lyman, Lecturer on Veterinary Science and Practice.